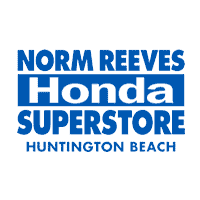 At Norm Reeves Superstore Huntington Beach, we have plenty of Honda models across all body types and trim levels that fill our lots. And if you have your mind set on getting an SUV, we will help you find a practical and appealing Honda CR-V for sale that we have here at our dealership. Whether you want to relax on the beach, surf the perfect waves of the Pacific Ocean, or fish off an iconic pier that offers stunning views, Huntington Beach is one big playground! And away from the water, there is plenty of shopping to be done, restaurants to eat at, and entertainment to enjoy a night out! Why Get a Honda CR-V? The Honda CR-V epitomizes what a compact SUV provides to drivers. It is a sporty, fun-handling vehicle to drive around any road, offers plenty of versatile space inside to pack with friends, family, and cargo, and has limitless options with superior tech features. Part of the innovation technology equipped in the CR-V is seen with the abundance of safety features. The available features that are part of Honda Sensing® give you elevated confidence while cruising around in the Honda CR-V.
Near the top of its class when it comes to performance, comfort, and reliability, the Honda CR-V is a well thought-out and crafted vehicle that gives its drivers a car they will love to be behind the wheel of. As you start to look for your next car, you can read through our range of useful material we’ve made that clearly articulates what various Honda models offer to you. And specifically, the Honda CR-V reviews we have will cover various components of the SUV from the engine specs, to the interior dimensions, to the exterior design. They will also let you know all about the standard and available features that the CR-V offers. For an even more in-depth look into the Honda CR-V, we have reviews that focus on one specific aspect like the technology or safety features you will find in the vehicle. And we even will dive into what each available trim level of the CR-V will supply you with, so you can better determine which one is suited for your wants and needs. And, if you would like to see how this SUV stacks up against the competition, our vehicle comparisons show you a head-to-head review of key aspects of both the CR-V and similar vehicles in its class to give you more confidence in the vehicle you ultimately select. After you’ve done your research, check out our inventory on our website to see the lineup of Honda CR-V vehicles we currently have for sale. Now that you know what trim level and features you want, you can narrow your search down to find the CR-V that fits your specifications. You also can come to our dealership and let our sales team match you with the CR-V that will seem personally created just for you! 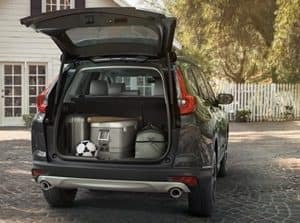 So stop on into Norm Reeves Honda Superstore Huntington Beach to find which Honda CR-V for sale we have is best for you. And schedule a test drive of the CR-V to feel exactly how well the car drives!